The classic slogan "Nur Fliegen ist schöner" ("Only flying is more exciting") went down in the history of European advertising, and applied to a car which has become a classic itself, the Opel GT. Now GM's Opel brand is reviving the name with a new sports car that echoes the successful concept of its predecessor. The new two-seat GT features an exciting design with sharply cut lines, rear-wheel drive and a potent petrol-fuelled 2-litre four-cylinder turbo engine with direct injection. The new roadster will celebrate its world premiere at this year's Geneva Motor Show, next month. The career of the original GT began with a bolt out of the blue. When Opel presented a two-seat sports car at the 1965 Frankfurt Motor Show it came as a complete surprise, especially as the GT was a total departure from the prevailing design trend in Europe at that time. The curvacious lines were inspired by a new style of US-design, the so-called 'coke-bottle'. The styling cues included a low front-end with pop-up headlights, pronounced rounded wheelarches, a narrow waist in the area of the doors, and even shapelier rear wheelarches ending in an abrupt tail-end. 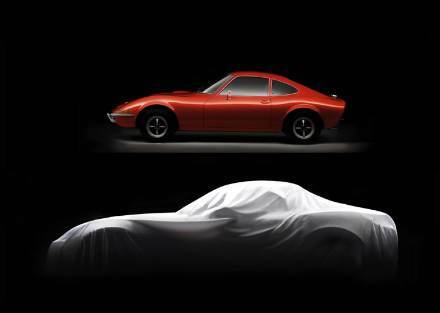 Over 100,000 units were produced between 1968 and 1973, and the GT has since become a coveted collector's item. There is no word on right-hand drive versions at this early stage. However, it is noteworthy that the GT is 'built' on General Motors' "Kappa" architecture. Other members of this GM 'family' include the 2005 Holden Torana TT36 concept car, the 2004 Chevrolet Nomad concept car and the current Pontiac Solstice roadster. 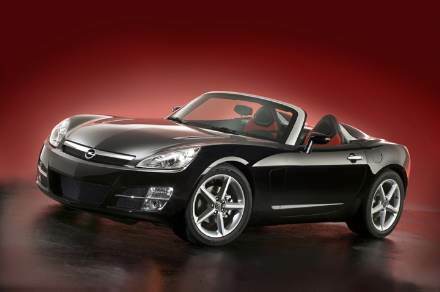 The upcoming Saturn Sky is also a member of the Kappa family and it is due for its American release this year. Kappa car production takes place in Wilmington (Delaware) USA. 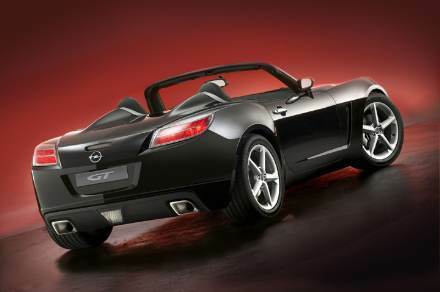 The new Opel GT will be manufactured alongside the Pontiac Solstice and Saturn Sky roadsters. The new GT will be released in Europe in Q2 2007. Time will tell if there will be an Australian model based on Kappa architecture!